We shouldn’t ask whether we must get out of capitalism so that humans can survive. We must ask how and when. 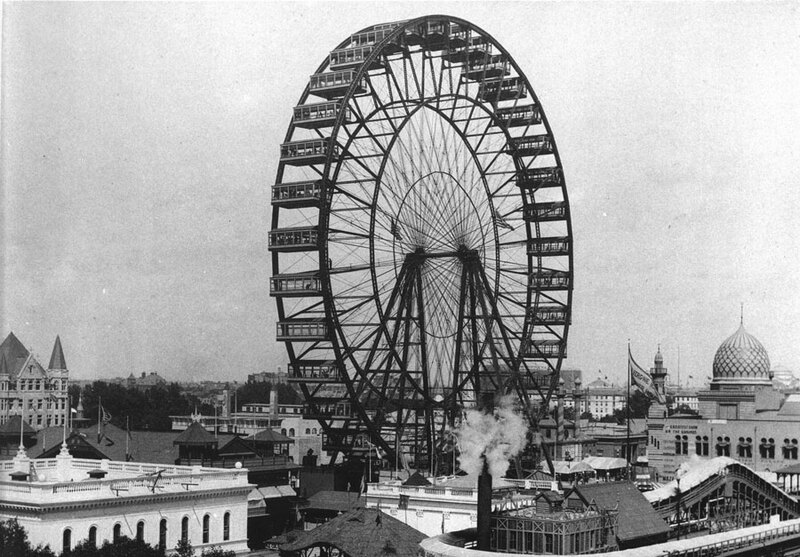 But the public preferred more modern attractions: a proto-amusement park with a giant early Ferris Wheel, electrical fountains, spectacular night lighting. The people wanted electricity. They would want it to light their homes and their streets, to power factories and appliances, in cities and on farms, in stadiums, theaters, and roller coasters. Despite the despair of a thousand cultural critics, the people still want it. The costs of our thirst for energy could still doom the planet to climate chaos. The International Energy Agency projects that under a business-as-usual scenario — catastrophic for the climate — global energy demand will increase by 43 percent in the next twenty-five years. To keep warming at a safer 2°C, they project that global energy demand would have to only increase by 9 percent. Leaving room for poor countries to raise their living standards demands massive reductions in rich countries’ energy use. How can we avoid doom, decarbonizing energy and cutting its use in the rich world in an egalitarian and exciting way? The new green capitalism doesn’t ask this question, preferring to protect profits while decarbonizing an economy built on vicious inequalities. But as disillusion with neoliberalism spreads and the threat of climate change grows, there’s an opening to organize around a different path: battling climate change and inequality at the same time. In North America, one last stimulus of planned economic development could replace green capitalism with prosperous no-carbon cities and energy landscapes organized to meet ordinary people’s needs and whims. Unlike prior stimulus programs, this one wouldn’t save capitalism from stagnation by launching a new round of growth, but would dismantle the destructive growth imperative. It would raise money from existing pools of affluence to build a clean-energy grid, add jobs and shorten work hours, and democratically redesign our landscapes. In North America, it’s beyond tone-deaf to call for immediate “de-growth,” appealing to abstract moral virtues like Honor, Genius, and already existing Wealth. Most of us now live with threadbare public services, mounting debt, and extreme inequality. Who will march for “green austerity”? We won’t start from scratch. A ton of what follows can start at city- and state-level while we build toward 2020. And capitalism gets greener daily, delivering clean-energy miracles. We can build on these achievements without succumbing to the illusion that pricing externalities and fostering innovation are all that’s needed. Capitalism is ravaging our environment, which is increasingly killing us. Greenhouse gases are just the most urgent indicator of the broader ecological crisis. Look at extinction rates, soil exhaustion, freshwater pollution, contamination from plastic and toxins — the list goes on. We shouldn’t ask whether we must get out of capitalism so that humans can survive. We must ask how and when. The idea of a last stimulus aligns with the best instincts of those who call for a Green New Deal. But that program is often reduced to a few bullet points, ignoring the fact that climate politics and economics in general are now identical. Climate politics are the field of struggle on which the central social and economic struggles of the coming decades will be decided — from raising revenue and allocating investment to structuring employment and shaping the built environment. Most of the North American left hasn’t yet grasped this. Instead, it boils climate politics down to keeping fossil fuels in the ground and spending more money for more green jobs making more clean energy. The Left tacks these demands onto an old-fashioned social-democratic economic plan that rightly emphasizes universal social services but only offers vague solutions to environmental destruction and capitalist production. It’s a solid start, but green capitalists have bolder and more sophisticated plans. They smell opportunity. Global political and financial leaders now want to invest a trillion dollars a year into clean energy alone. The budget for climate adaptation policies will be comparably huge. Sure, Big Oil and its friends in the White House want to stop all this. Battle them in the trenches, but recognize that business as “usual” is changing fast. It’s right to worry that green capitalism isn’t moving fast enough to stave off catastrophe — it’s not. But it is moving. In Germany, Europe’s biggest economy, renewable sources now provide over a fifth of the country’s electricity and nearly a sixth of its total energy. Across the Rhine, France’s government just banned new oil and gas exploration and issued $7.5 billion in green bonds to fund renewable energy spending. Globally, governments could issue over $200 billion in such bonds for climate-related investment in 2017. For one week in June, China’s Qinghai province, population seven million, ran entirely on renewable energy. Imagine if all this activity scales up with a market logic: private firms will control renewable energy, bond traders will hold government social spending hostage, and public-private infrastructures will deliver sustainable goods only to those who can pay. Investors and affluent consumers will do well, while the social and ecological costs of new growth will be heaped on the poor and racialized. That’s a grimly violent future. Even green capitalist “success” likely leads to eco-apartheid. Indeed, white supremacy and electric prosperity grew up side by side. As the historian David Nassaw documents, a century ago, black people were legally allowed to enter the world fairs that publicized electricity’s arrival — only to be treated with “consummate disdain.” At Chicago’s World Fair, organizers rebuffed the abolitionist Frederick Douglass’s efforts to mount exhibits chronicling black American progress after slavery. When Douglass, presiding over the Haitian government’s exhibit, tried to speak publicly on “The Race Problem in America,” he was heckled and jeered. Today, an alternative eco-socialist path is emerging. Groups like The Leap, Global Grassroots Justice Alliance, the Indigenous Environmental Network, the Labor Network for Sustainability, and the Climate Justice Alliance are imagining a just transition to a clean-energy economy. Our challenge is to go big. The rising North American left must crash into — and in that process transform — the epochal energy transition that’s already begun. For all their differences, Donald Trump and Justin Trudeau agree on two things: the Keystone XL pipeline is a great idea, and the lion’s share of new infrastructure should come in the form of public-private investment, which surrenders democratic control and requires that the projects yield reliable profits. The broad enthusiasm for private infrastructure is the really dangerous part. In terms of raw power generation, clean energy can easily displace fossil fuels. The cost of onshore wind has fallen by 40 percent in the last quarter century; the cost of utility-scale solar has plummeted by half in under a decade. Prices for each will keep plunging. Battery technology, vital for storing and smoothing the flow of variable renewable energy, is now also taking off. Bad infrastructure has become the bottleneck. As Gretchen Bakke argues in The Grid , “investments in renewable sources of power generation are failing or falling very short because America’s electric grid just isn’t robust enough or managed well enough to deal with the electricity these machines make.” Sun and wind are always shining and blowing in different places, at different levels. The more intrinsically variable clean energy you have, the harder you have to work to move it around smoothly. Free market reforms, which along with government support spurred the renewables boom, have now become a barrier to clean energy’s next big step. The “utility death spiral” in regions where rooftop solar power has undermined utility finances is just the beginning. Long-term, market-based grid policies point to an unequal future in which reliable energy is only available to those with favorable geography or wealth. We’ll need public planning and investment to assemble a continent-wide, polycentric smart grid that can deliver universal, reliable, and affordable energy. What’s more, to reach zero carbon, we must electrify everything, from stoves to delivery trucks to buses. We also need to develop more efficient systems, overhauling cities and suburbs and better linking them to energy infrastructures. The complexity of this transition compounds the need for public coordination. Urban densification, building retrofits, transit-oriented development, and the expansion of community culture and sport facilities can all reduce energy demand. Since heat waves, extreme storms, and rising seas threaten urban areas, we need to blend energy efficiency with clever fortification. Here, grid development and urban planning merge. Urban rooftop solar panels will excel as a backup system, in case disaster downs power lines. All the time, electric vehicles will serve as batteries that can store energy from the wind that blows while commuters sleep. We’ll have to fight to make most of those vehicles shared buses and vans. The dream of cityscapes swarming with electric cars, their manufacture chewing up resources elsewhere, is one of green capitalism’s saddest fantasies. Of course, massive social struggles over the terms of all this change will break out. Indeed, that’s what makes broad climate justice coalitions possible. With local leadership, retrofitting working class and racialized communities is where we start. All of this requires huge investments. If left forces want to cement our victories, we’ll need money. To seize public control of our energy system’s most strategic area — the grid and associated infrastructures — left forces must pressure public institutions to tap wealth and income through increasing taxes, setting smart carbon prices, seizing co-ownership of leading firms, and retooling banks and bonds. The economic geographer Sarah Knuth has done brilliant research on these issues in the context of California’s efforts to retrofit cities for a clean-energy economy. Largely thanks to Proposition 13, passed during that state’s Jerry Brown years, raising old-fashioned taxes in California is virtually impossible. To fund long-term green investment, Knuth argues, public entities have had to purchase exotic financial instruments that make speculative bets on explosive future growth that green investment will theoretically enable. Not good. But new developments in California — unfinished and imperfect as they may be — point toward an eco-socialist alternative. Pricing carbon represents another strategy for raising revenue, one that penalized fossil fuel companies and raises the cost of consuming energy-intensive goods, like gasoline. Depending on the carbon price’s design and its revenue allocation, the overall policy can be progressive. California’s first attempt at carbon pricing was a half-decent cap-and-trade approach. Working with progressives and environmentalists, leading state legislators wrote a bill, SB-775, that cleverly combined a cap on emissions with a backdoor carbon tax that would raise more money, returning much of it to taxpayers in a left populist move. In early July, Governor Jerry Brown scuttled that effort to instead update the status quo, with even more help for big oil. Still, thanks to legislation passed in 2016 with support from that same broad coalition, California must spend 35 percent of ongoing carbon price revenues on low-income and racialized communities that have borne the brunt of prior pollution-driven growth. That progressive investment mandate remains an important left victory. Similar initiatives have emerged in Massachusetts, New York, Rhode Island, and elsewhere. As in California, these proposals have wide support but run up against entrenched fossil fuel interests. Bigger fights loom. The issue of carbon pricing has taken center stage at even the federal level. Climate-conscious Republicans and their allies want to levy a modest price on carbon and refund the revenue to all citizens in equal amounts, which would, in most cases, move wealth from the rich to the poor. In exchange, they want to slash environmental regulations. The fatal problem with the carbon tax as a comprehensive climate policy approach is the idea that market incentives alone could reshape the country’s infrastructure. But as we’ve seen, it’s precisely on the issue of energy infrastructure and associated systems that markets are most hopeless. To be clear, taxes are good at raising money and discouraging bad behavior. The Left should press aggressively for a big tax on carbon, which will attack fossil fuels, cut the wealthy’s extreme consumption, and increase revenue. Left coalitions should also insist, like Senator Bernie Sanders and activists countrywide, that the public sector retain a third or more of carbon tax revenues to invest in a just transition. The problem with markets and carbon isn’t pricing in the abstract, it’s power. The finance question goes beyond taxing and spending. For one thing, we can raise money while building public power at the expense of corporate power. Behind every clean-energy innovation lies government support. For instance, Elon Musk built Tesla and Solar City with help from government science and cheap loans. Economist Marianna Mazzucatto argues that the state should get dividend-paying shares in the firms that it nurtures —let’s say a 10 percent stake. If you brought the sugar, you should get some lemonade. Or consider so-called green bonds, where a third party certifies that the money raised will be spent on clean energy or adapting to extreme weather. Historically, when public entities issue bonds, they’re betting on future growth and empowering private creditors. Could green bonds be different? As the economic geographer Patrick Bigger tells me, each time a public entity issues a green bond, demand dwarfs supply. Scandinavian and Californian pension funds are desperate to buy the bonds, even though their yield rate is uncommonly low. Thanks to political pressure, millions of workers’ retirement funds are already investing in a happy old age in a stable climate. Globally, trillions of dollars in workers’ retirement savings are up for grabs. Yet in most of the world, workers don’t manage their own pension funds — for now. Again, it’s a question of power. The climate movement’s fossil fuel divestment campaign might also revitalize the long-running labor struggle to take back control of the wealth workers build. Finally, the Left should focus on organizing investment through institutions. Here, too, the field is opening up. Regional and national governments all over the world are setting up green banks, financial institutions to help shape the booming investment in the energy transition. We have long wanted to turn the financial sector into a transparent, risk-averse, public-oriented utility — an idea the 2008 financial crisis revived. Most simply, a nationalized banking sector could channel funds into socially useful enterprises, not currency bets, flash trading, and Cayman island bank accounts. A recent OECD survey found little consensus on how new green banks will raise and spend money. They are like warm clay, begging progressive forces to mold and enliven them by specifying how they choose directors, interact with communities, and prioritize spending. Of course, the one thing socialists reliably love about investment is job creation. There’s good news here as well: the renewables economy is powering job growth. This past year, employment in the solar sector expanded seventeen times faster than in the economy as a whole. We can reasonably estimate that investing tens of billions of dollars into transforming our energy system will produce millions of new jobs. Meanwhile, pipe-fitting work, for example on the Keystone XL pipeline, is demanding, skilled labor, and it pays accordingly. Further, much of the fossil fuel industry — unlike renewables — is unionized. The question of democratic representation — not the world’s carbon footprint — divides good jobs from bad ones. To make the transition to renewables just, we must be ready to pay — and organize — for it. That means unions, environmentalists, and their allies must force the public sector to facilitate green-collar organizing. Governments must use their procurement power to support unionized providers, and greens must show up at the picket line. Indeed, fledgling labor-climate coalitions are already forming. The green job push can fit the logic of the last stimulus by broadening its focus. We must gradually shift jobs from an end goal to a small component of the good life. European-style workweek reductions —once a central demand for many American union organizers — would allow workers to spend more time having fun. Studies show that shorter workweeks produce lower carbon footprints. But those studies were conducted in Northern European countries, with universal health care and social services. Dutch innovations that facilitate part-time work, demanded by feminists and unions in the 1980s, mean that workers can unilaterally shorten workweeks. And they have, since they don’t depend on their employers for basic needs. In the United States, where these protections are lacking, we cannot shorten everyone’s workweek without pushback from workers. In a transitional move, however, workers could demand the right to reduce their hours, take corresponding wage cuts, but maintain full benefits. The public sector could lead on providing a template. This would help ease the transition to universal social services, as well as a basic income and job guarantee. We must situate the clean-energy agenda in the messy real world. When we begin to transform our energy system, the spreadsheets and bar graphs of a thousand policy PDFs will collide with hilltops, seashores, and fields — all wandered, watched, and loved by the people who live there. The Left has embraced the growing resistance to fossil fuel infrastructure and extraction, a global movement that Naomi Klein calls “Blockadia.” But opposition to clean-energy infrastructure is also growing. Wind farms — whose output still eclipses solar energy — often elicit fierce local resistance. Sometimes the refusal comes in comically hypocritical forms, such as the liberal Kennedy family fighting to keep offshore wind from ruining their Cape Cod views. More often, however, it’s an understandable response to big infrastructure projects dropped down from above. Rural communities, often politically conservative pockets in otherwise progressive regions like Maryland, Ontario, and Vermont, have all fought to keep their familiar landscapes from being transformed by wind turbines and power lines. Deeply felt worries about aesthetics blend into more dubious paranoia about health impacts. To produce the same amount of energy as fossil fuel infrastructure, wind and solar require ten to one hundred times more ground space. To drain carbon from the sky, we must sprawl across the earth. As indigenous and racialized communities have known for more than a century, the top-down imposition of energy infrastructure often comes with brutal, unequal effects. Today, clean energy needs to take root in Trump country. Scholars who have tracked decades of resistance to wind farms in conservative rural areas argue that advocates must engage in intense public engagement and provide material benefits to residents if they hope to build consensus. This imperative to work closely with locals, addressing their concerns and sharing power, dovetails with the Left’s desire to develop closer ties to rural workers. Journalist Kate Aronoff’s proposal to revitalize US rural electric cooperatives created during the New Deal, now serving 42 million people, is a natural starting point. Many of the communities that have spearheaded Germany’s renewable-energy transition are politically conservative, low-population areas that saw community-owned clean energy as a way to revitalize dying towns. This local leadership won federal financial support in the form of mandated “feed-in tariff” subsidies. This federal support further empowered local action. In 2012, community ownership of Germany’s booming renewable sector peaked at a respectable 47 percent. But again — to complete this transition, we must move energy, not just make it. Residents don’t just resist turbines, but also the giant new corridors of high-voltage lines needed to transport it. Of course, the simplest remedy has the biggest price tag. Burying power lines can increase construction costs by a factor of five. In Germany, the prospect of 250-foot-high “monster pylons” carrying wind power along high voltage wires for over six hundred miles sent Bavarians into a frenzy. In 2015, the federal government agreed to spend up to $9 billion to route the wires underground, money it could have spent on any number of other worthy causes. This same scenario just played out in Vermont. In Ontario, local opposition to a top-down, corporate-driven plan to build turbines and power lines from groups like “Mothers Against Wind Turbines” has slowed a once-aggressive clean-energy plan. And this is just the beginning of the energy transition — the landmass in question will grow relentlessly. To massively expand renewable energy, you need broad public support. People must agree on when to sacri-fice their view and when to invest in making infrastructure invisible, even at the cost of other potential projects. Infrastructure so often faces resistance because it’s a proxy for power relationships and political priorities. How huge changes to infrastructure get communicated, who makes the decisions, is extremely complicated. That could be left to corporations and utilities. Or design can try to lead the way. Design thinking can bring visual tools and expert knowledge into conversation in sophisticated ways. We don’t have a ready-made model. We can’t know in advance what people will want after they’ve had the time to learn and debate. Democracy means that groups of ordinary people, not technocrats, make the final decisions. After Hurricane Sandy, the Rebuild by Design initiative created compelling projects to protect vulnerable working-class communities, including Manhattan’s public housing–dominated Lower East Side and the South Bronx’s Hunts Point, where a food market that helps feed over twenty million people is shockingly vulnerable to rising seas. Rebuild by Design would have benefited from deeper and broader community engagement, stronger follow-through, and more federal money to actually fund final proposals. Still, the initiative’s best ideas vindicate close collaboration between community groups, designers, and other experts. The Left can build on this model, just as it has found ideas in flawed-but-productive municipal experiments in participatory budgeting. In the Netherlands, the design thinkers who inspired Rebuild by Design built off a centuries-old tradition of local water board deliberation. Today, they are shifting their focus to renewable energy. All this might sound way too much like Al Gore’s next TED talk. Community engagement! Wind! Design! No more climate denial! No more suffering! But hey: a winning Left needs to be confident, optimistic, and solution-oriented. The scale and urgency of the planning required to remake our energy landscapes offers a huge opportunity. It could become the organizing project of the next ten years, where our commitments to democracy and well-being literally hit the ground. These rural landscapes will also become the sites of agricultural renewal and places where hard and soft infrastructures cushion extreme weather’s effects. We will direct new investments, extracted from fossil fuel wealth, to once-poisoned territories populated by indigenous groups, communities of color, and fossil fuel workers now abandoned by Big Oil and Big Coal. Of course, the last stimulus involves much more than just financing a new energy grid, transforming employment, and restructuring landscapes. But these examples illustrate three core truths about climate politics: they have already started, their reach is limitless, and they are the terrain on which we will battle over the twenty-first century’s giant questions of inequality and power. Starting right now. So far, green capitalists are the ones shaping the future. They get it. We could too. Just imagine what life could look like if, in the next few years, the Left seized the initiative and started winning. In that world, by 2030 we’ll be on the way to reconciling nimble, decentralized clean energy with a grid that provides affordable, reliable, and universal access to electricity. We’ll be socializing investment, breaking Wall Street’s power. We’ll have put price signals to work for democratic planning, organized countless workers, and eased the burden of labor. As a bonus, we’ll be building landscapes — in cities, suburbs, and the countryside — where time-rich workers will roam and recline. We’ll camp at the edges of re-wilded, carbon-sucking forests; we’ll hike through valleys with ridges topped by wind turbines built by local cooperatives; we’ll lay our towels on flood-softening sand dunes to drink iced rum mixed with garden-grown mint; we’ll trip over pumpkins and lick raspberry-stained fingertips in brambly fields salvaged by permaculture; we’ll ride Ferris Wheels built of materials the twentieth century never heard of, breathing sweet air that forgot it was once laced with mercury and soot. We’ll slip in and out of cities on solar-panel-covered roads in electric buses, carrying electric toothbrushes and vibrators to usher in the night. One last stimulus to stop runaway climate change and break free from capital: rest, song, and wine await us. Daniel Aldana Cohen is an assistant professor of sociology at the University of Pennsylvania, where he directs the Socio-Spatial Carbon Collaborative, or (SC)2.